Wishing you all the most fabulous weekend! I'm with you Emma. See you in the park! ...and these beautiful colours are perfect for today. I hope the weather stays good for next weekend - I'm travelling up to take part in the MoonWalk! Lovely colours - especially love Lu Summer's wrapping paper. emma this palate of colors with the pictures you chose are so beautifully happy and content. I hope you have a lovely weekend!! beatiful colours!! so relaxing and calming, perfect to get rest and enjoy the weekend. I simply love this colour palette! 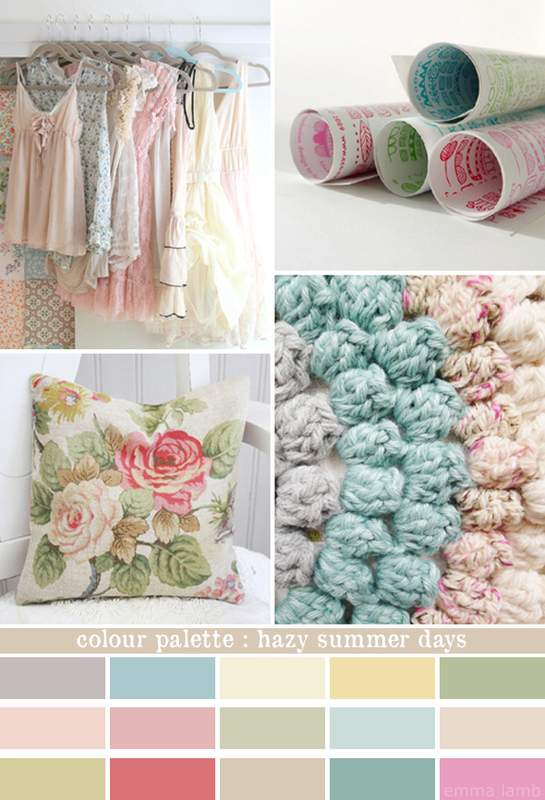 Such lovely soft colors - love them all! Ooh yummy colour palette, love it!